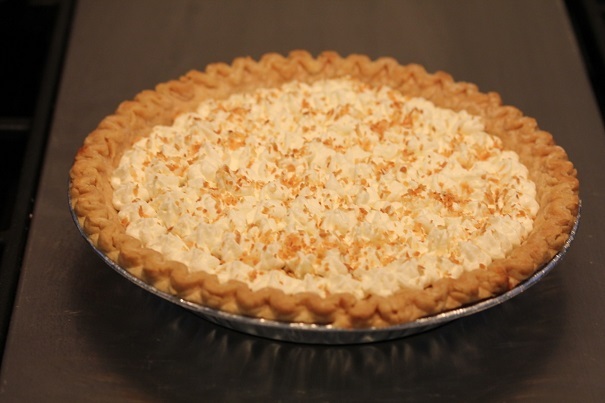 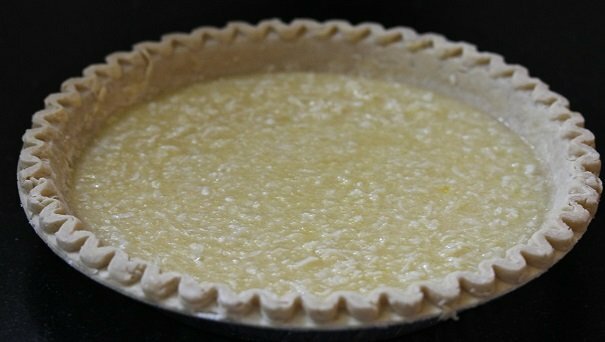 Mix butter, sugar, eggs, vanilla, coconut and buttermilk, and pour into pie shell. 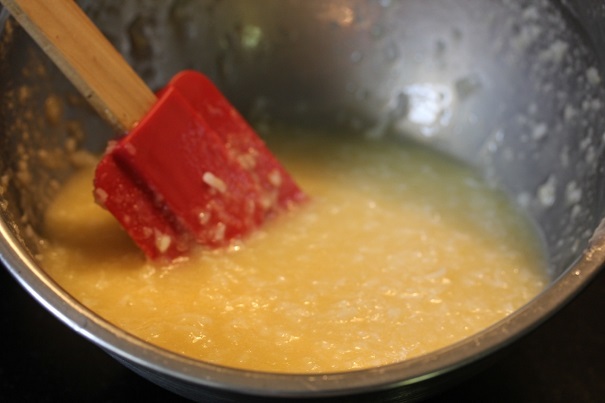 In a dry frying pan set at low heat, toast the coconut until it is golden brown. 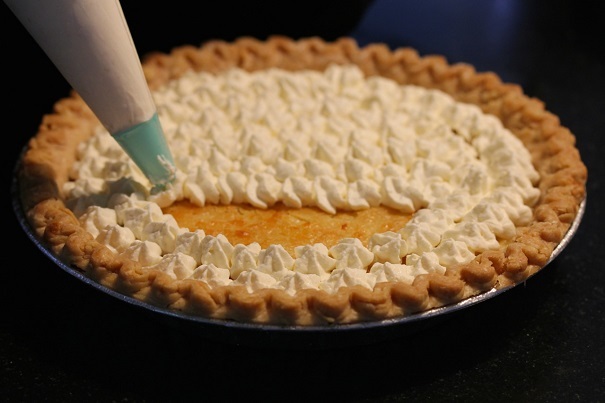 Garnish pie with whipped cream, and sprinkle with toasted coconut.